WWW Search this ID site! I have 2-3 times the last months had an unID "Radio Centro" in the evenings. Just IDs, TCs and mixed english/spanish music with good sound quality. UTC -5. I don´t preent recorings of mediumwave harmonics very often, if I check the region 2000 - 4500 kHz there are always something but with very low signal strength.Two days ago around 1000 UTC I had a real good signal from the Colombian harmonic "Micrófono Civico" on 2620.26 kHz. The DJ you hear at the end of the recording is the stations normal DJ and perhaps the owner. He has a special voice easy to recognize. Palermo is located inthe department of Huila in the southwest of the country, and its capital is Neiva. 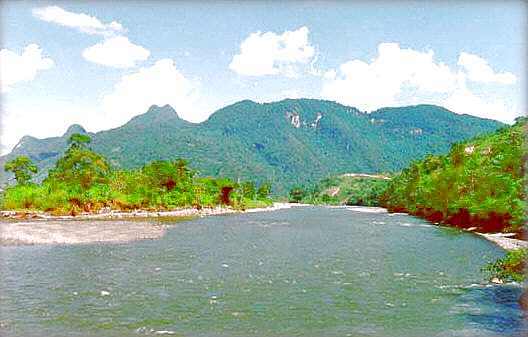 The Magdalena River, Colombia's largest river, rises in Hulia department. Harmonic from mediumwave 1310 kHz. Dear Malm, Carve continues its history, since they returned to normality three days after the problems involved with station's management. "Hola Bjorn, como estás ? espero que muy bien. Sigue audio de Radio Carve, Montevideo , Uruguay, en los 850 kHz en grabacion del año 1987. Su recepcion era muy buena por acá , pero ahora la emissora no mas está en el aire. un gran saludo a usted". 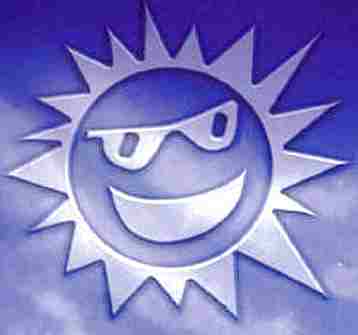 Thank you very much Samuel, of course I´m feeling very fine when my DX friends are contributing with their recordings of LA stations like Radio Carve, hasn´t been on air for a very long time. 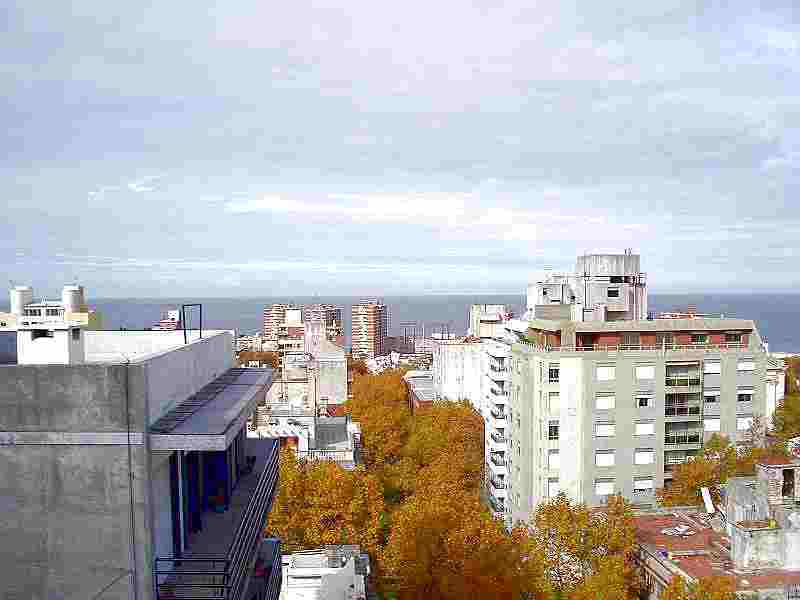 This is the first station from Uruguay presented on this ID site. I myself have never logged Uruguay here in Quito. I do not remember I myself have reported a "Radio Centinela", Huancabamba 6544.7 kHz as Dario Monferini writes in his mail (I do remember a logging 1994 by Henrik Klemetz) but 23/7 2005 (see "Archive") I reported a new station on mediumwave 1258.392 kHz: R. Centinela, Huancabamba (Perú). Thanks Dario for your mail, of course the stations QTH can be Huancabamba but the station I´m hearing on 4654.96 seems to have the name/slogan "Radio Centinela del Norte". I hope I will be able to solve this QTH problem soon. Hola amigo Bjorn, la noticia de Radio Centinela del Norte .... me ha hecio recuerdar otra emisora que ya tu senalaste en la onda corta .... 6544.7 PERU. R Centinela, Huancabamba, new stn with slogans such as "la voz de los éxitos", and also "la voz de las Guarinjas", July 22, 2256 with Ecuadorian pasillos. This is a station unknown to me and I still don´t have the QTH. I have not noted anything from Perú for a very long time around this frequency. The DJ said they want reception reports. Probably the first day of test transmissions. The station will be transmitting 1000 - 0200 UTC. This friday evening close down 0130 UTC. Not very strong signal and I have my problems with electrical noise. A short recording of a feeder transmission in LSB relaying program from La Red, Buenos Aires 910 kHz. News program "La Red Informativa", weather and sports. Good signal but I have problems with electrical noise. Many years ago, when I lived in Sweden, I logged Maranatha on 1440 kHz. I have not noted the station here in Quito before but I have had contact many times the last 10-12 days and mow I can present a recording. Is transmitting with 25 kw on 1440 kHz and also via FM 103.5 Radio Eben-Ezer. Is a religious station but has also nice programs with music/greetings. It´s not a very good recording but Nicaragua is very difficult to hear here in Quito. I presented Radio Marañon shortwave with two nice recordings and photo from QTH Jaén last month (see "Archive" 9/10 2005). This edition of "Voces de América Latina" is to show that Marañon also sometimes can be logged on mediumwave here in Quito. 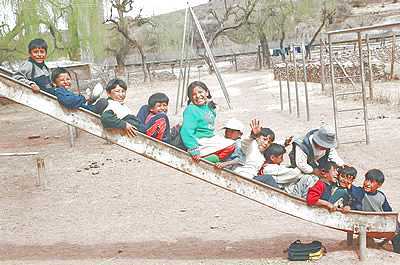 The program is called "Gotitas Campesinas" aimed for farmers. Just a few times over the years I have noted this station and always with very low signl strength, impossible to ID. Last night friday rare conditions with 3-4 Africans together with Honduras on 3250 and 3340 kHz, both with very good signals. Don´t mix it up with Bolivia! Up to 0335 UTC a program called "Historia preferida" produced in Cochabamba, Bolivia. The sound is a little bit distorted. ID with MW 1480 and SW 3340 kHz. "Comayagua, founded in 1537, was the capital of Honduras for more than 300 years but was heavily damaged by fire during a civil war in 1873. Cobnsequently the capital was moved to Tegucigalpa.Comayagua features historic monuments like Central America’s former oldest university, founded in 1632 and now functioning as the Bishop’s Palace; another historic feature is the lovely cathedral in the Parque Central which has the oldest working clock in the Americas in its tower along with some nice colonial artwork. You can visit the cathedral and even climb up the tower to see the clock tick away the hours as it has since the 1500s. 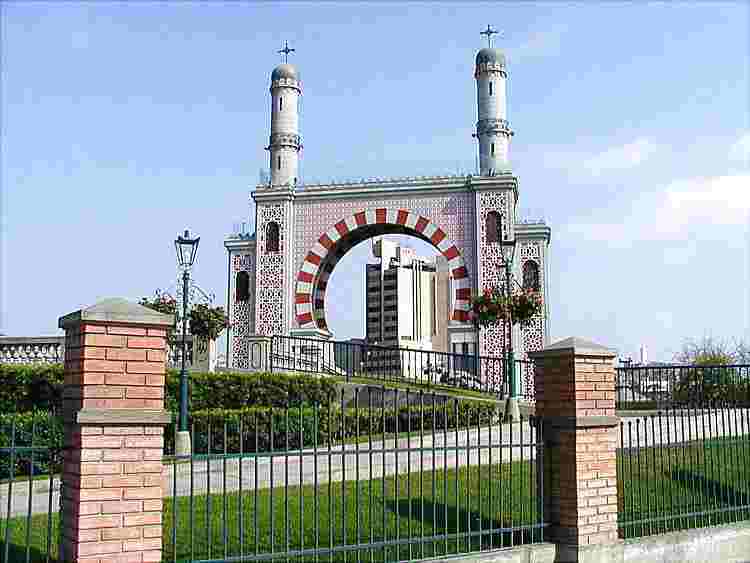 Most of the attractions are located in and around the Parque Central. The streets of Comayagua, unlike many small towns in Honduras, are paved and pleasant. A nearby military base is home to about 1,000 American soldiers stationed there and you will notice hints of American influence in English on signs among other things". I have been trying a very long time to get some "hard-proof" showing that the spanish speaking "Radio Católica Mundial" station really is the Bolivian station reported by some DXers: Radio Virgen de Los Remedios. To be honnest I thought it wasn´t but last night 0000 UTC I finally got the answer, the "hard-proof": recording of a perfect ID for the Bolivian station. Live transmission from a Bolivian church up to 0000 UTC when the ID came. After 0000 UTC news from "Radio Católica Mundial. ". I have also noted the USA station WRRB with spanish, religious programs, the last time up to WRRB-ID at 0000 UTC on 5745.00 kHz. I first reported this station as unID (see archive 2/9 2004). 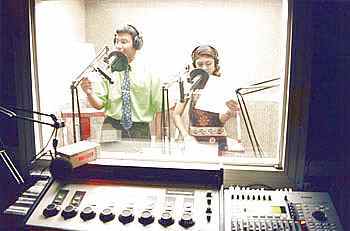 I identified some days later the station as Radio Municipal, La Paz (see archive 10/9 2004). Rogildo F. Aragão (Bolivia) confirmed the QTH as Caranavi, La Paz. 21/9 2005 Rogildo F. Aragão mailed to me saying that Municipal now has a new name: "Radio Norteño". Some days later I presented a recording with this new name but with lowest possible sound quality, almost impossible to hear anything. This wednesday morning I was for the first time able to get around the heavy QRM from utility and Brasilian stations on the frequency. This morning was a "dream" morning for a DXer: as always I woke up 0400 local time listening to news from Radio Colón, Quito 780 kHz: interviews with people living in Cochabamba (Bolivia) about the high crime level tc. Also Radio Norteño 4645 kHz was talking about Cochabamba when I started listening, incredible! See photo from Caranavi here! Radio Monumental, Quito (Ecuador) 1510 kHz has been off air last night and this tuesday morning and I have spent some hours on this, normally blocked, frequency. I have never before logged La Voz de La Unión, at least not on mediumwave, but 2003 I logged a Colombian harmonic on 4530.00 kHz with ID ""LV de.......", probably La Unión (at that time a station unknown on mediumwave). 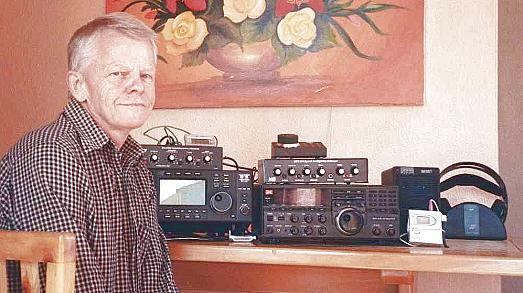 Henrik Klemetz said in Shortwave Bulletin 7/2 2003: "La Voz de La Unión, i La Unión, Antioquia I used to hear in Bogotá (Colombia) during 1995 on 4532.1 kHz". Up to 0005 UTC religious program. After 0005 the station is changing their format to music/greetings. Radio Yura with good signal strength this monday morning. Carneval music and as always female DJ. See photo from Yura "Children" here! If a company here in Ecuador has a comercial for rhum, vodka etc on a radio station they have to include information about the danger using drugs etc. Here in Ecuador it sounds like a fast speaking "computer voice" but you can hear what he is saying. On this clip from HJYZ Radio Super, Neiva (Colombia) you hear this "information" with record speed! It´s a comercial for "Ron San Augustin". Comercial for ron "San Augustin" and "information". Radio Miraflores is a very rare station here in Quito, I have logged the station just once. You can hear from this clip that Miraflores is afiliated to "Cadena Radio Victoria": OAX4X Radio Victoria, Lima 780, OBX4J Radio Latina, Lima 990 and OAX4L Radio Miraflores, Lima on 1250 kHz. As you know Radio Victoria, Lima is also onshortwave 6020 kHz. The program is called "Mensajes Cantados". See photo from Lima: "Morisque Pavillion" here! My first Chile on mediumwave! It´s not a great pleasure listening to this very weak signal but it is my first Chile logged on mediumwave here in Quito. I have tried doing it for 8 years so this is a celebration day! I logged the station at local sunrise in Santiago de Chile. WRTH says the power just is 0.25 kW. 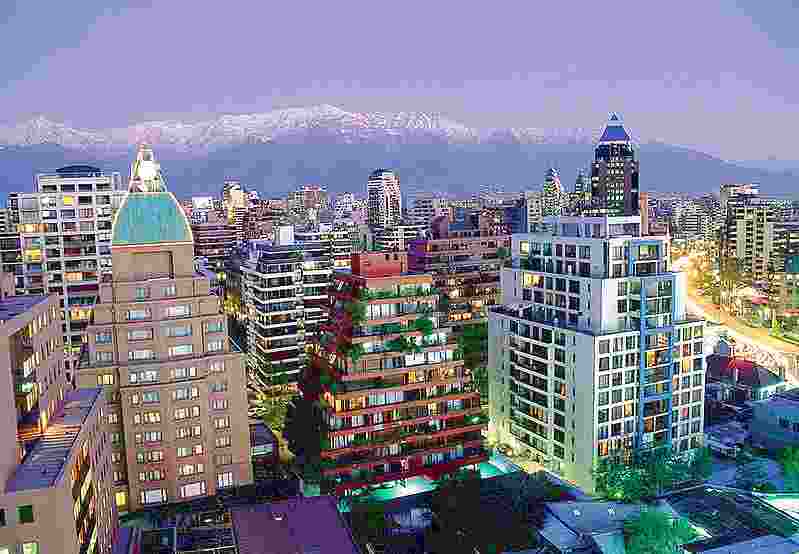 See photo from Santiago de Chile at dawn here! This is the perfect feedback from Henrik Klemetz and Alfredo Canote! Alfredo with adress to Radio Bella and Henrik with a nice recording of "Radio Tingo María". Thanks to both of you! "Radio Tingo María, 4759, 1050 UTC, in May 1996. I was using a Sony ICF2001D receiver when recording this clip from Bogotá, Colombia. Note the slogan "desde la ciudad de la Bella Durmiente..."
See photo from Tingo María here! Tingo María is called La Ciudad de la Bella Durmiente, which could be translated as The City of the Beautiful Sleeping Woman: Tingo María lies at the foot of a mountain which has theshape of a sleeping woman, lying on her back, with an Inca crown on her head. The mountain is situated in the National Park Tingo María. This new Perúvian station has now regular transmissions with music and greetings. On this my first recording with ID there is also adress to the station. Is transmitting also on mediumwave 1040 kHz and will soon be on FM. Tingo María, magnificently situated on the lush tropical foothills of the eastern Andes, is one of the entrances to the Amazon basin. Tingo means union, in this case the union of two rivers: the Rio Huallaga and the Rio Monzon. María is the name of a woman, who used to live there before the city was founded. Everyone in the region knew the woman who lived at the union, the tingo, of the two rivers. 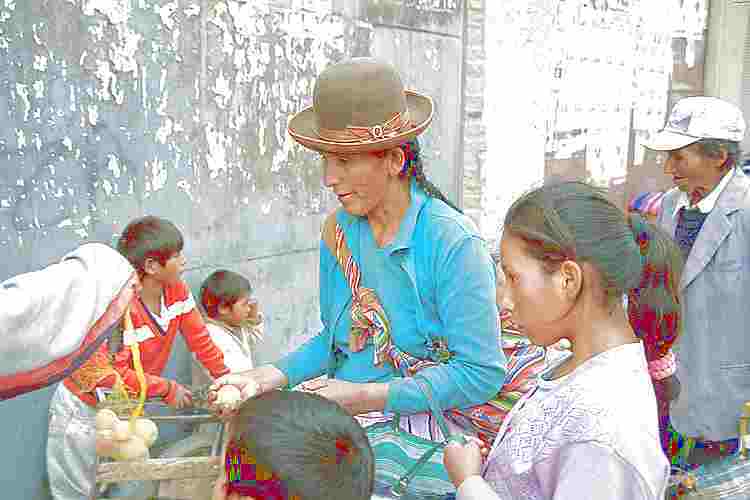 When the city developed, the inhabitants decided to name it after this woman: Tingo María. Tingo María is called La Ciudad de la Bella Durmiente, which could be translated as The City of the Beautiful Sleeping Woman: Tingo María lies at the foot of a mountain which has the shape of a sleeping woman, lying on her back, with an Inca crown on her head. The mountain is situated in the National Park Tingo María. The city lies at an altitude of 650 metres, and has about 30,000 inhabitants. 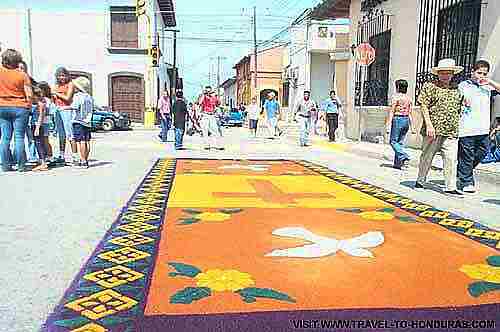 It is a typical Peruvian jungle town with streets that remind the visitor of small towns from wild-west movies. The tropical nature with the green hills around Tingo María is impressive and there are many botanical gardens and parks. There is also a agricultural university. The most renowned local attraction is the Cueva de las Lechuzas, a cave just outside the city in the National Park Tingo María. The cave is full of beautiful stalagmites and stalactites with many, many nearly extinct nightbirds, oilbirds and parrots. 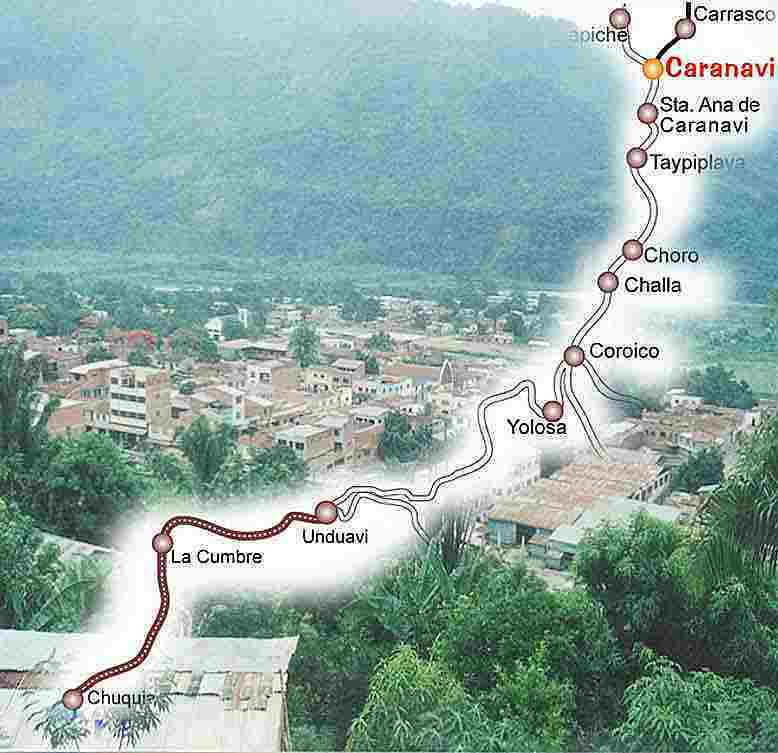 Another great place is the Cañon de las Pavas, a beautiful canyon just outside Tingo María overgrown with rainforest. You will never see more and bigger butterflies than here. Until now Tingo María is relatively unknown to tourists, although there are a few hotels and restaurants, some of them excellent. The city is definetely worth a visit. It is connected by road to Huánuco and Pucallpa.